In Gunderson v. State of Indiana, the Indiana Supreme Court, unanimously, held that 1.) Indiana owns in public trust the bed of Lake Michigan up to the Ordinary High-Water Mark (OHWM), 2.) Indiana has not relinquished its interest in the property below the natural OHWM, which is the legal boundary between State-owned property and private property, and 3.) walking along the shores of Lake Michigan below the OHWM is a protected public use in Indiana. Indiana’s northwest border includes 45 miles of Lake Michigan shoreline. The Gundersons owned land on Lake Michigan in the Town of Long Beach, and the property’s deed can be traced back to an 1829 federal survey that shows Lake Michigan as the northern boundary of the property. In 2010, the Town of Long Beach adopted an Indiana Department of Natural Resources (DNR) administrative rule that created an artificial boundary line denoting the OHWM, which separated state-owned beaches from private property. The Gundersons protested and, after failed attempts to settle the dispute administratively, filed suit against Indiana and the DNR in 2014 for a declaratory judgment on the extent of their property rights and to quiet title on their property. The Gundersons claimed the water’s edge as the legal boundary of their property as reflected in their deed and based on Indiana’s equal-footing title. As support for this claim, the Gundersons relied on the Northwest Ordinance, United States Supreme Court precedent, early State case law, federal law. The Northwest Ordinance provided that admission of new states would be on equal-footing with the original colonies, and navigable waters would remain free. The Gundersons argued that this limited the public trust to the waters. The court disagreed citing United States Supreme Court case law from 1845 to 1931, culminating with United States v. Utah, which chipped away at the effect of the Ordinance on equal-footing title. State case law followed a similar path. The Court concluded that the Northwest Ordinance had no effect on Indiana’s title to the shores of Lake Michigan, but simply informed the State’s understanding of public rights. The court held that, absent an express federal grant before 1816, lands below the OHWM could not be conveyed to private parties and that Indiana acquired equal footing lands up to the natural OHWM pursuant to case law and the Submerged Lands Act of 1953. The Gundersons also argued that because Indiana’s Lake Preservation Act specifically exempts Lake Michigan, and Indiana case law with respect to the southern border along the Ohio River expanded riparian rights to the Ordinary Low Water Mark (OLWM), the State had relinquished its interest. 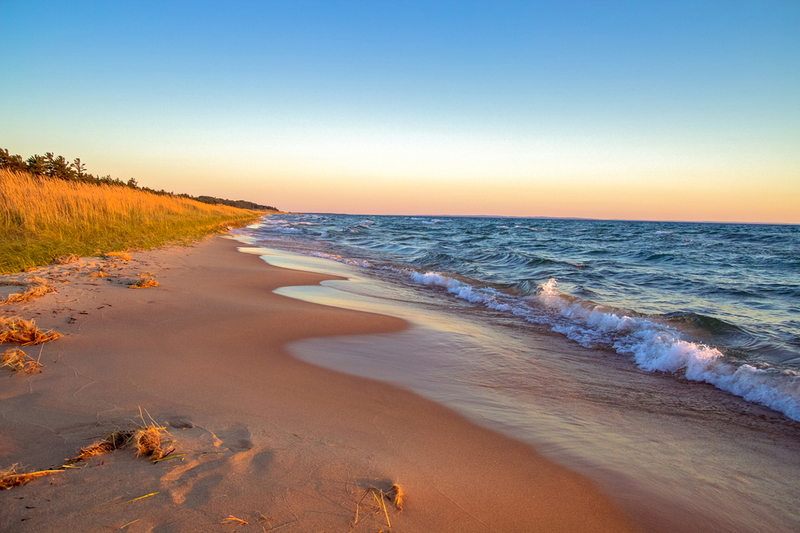 However, the court held that the State did not expressly abrogate its common-law responsibilities by exempting Lake Michigan in the Lake Preservation Act. In addition, the court clarified that case law cited with respect to riparian rights along the Ohio River applies only to the Ohio River and not Lake Michigan. As for the DNR’s administrative determination of the OHWM, the court held that the natural OHWM is the “legal boundary separating State-owned public trust land from privately-owned riparian land.” To determine the OHWM, the court cited the common-law physical characteristics test and fluctuations in the water’s edge which could change due to erosion or accretion. Finally, the court declined to exercise its common-law authority to determine the scope of protected uses on the publicly owned land. While other state supreme courts have held that the public trust doctrine as a common-law doctrine should evolve to meet the public’s expectations, the court declined to do so and held that, at a minimum, walking below the OHWM along the shores of Lake Michigan is a protected public use in Indiana. The court deferred to the Indiana General Assembly to recognize any additional public rights. Local news reports have declared Indiana’s beaches “open to all.” With the Indiana General Assembly set to adjourn in less than a month, and few opportunities to recognize additional public rights, the court’s decision could set up some interesting conflicts over the summer months when sun-starved Hoosiers invade the beaches of Lake Michigan to set up camp for a raucous day of fun in the sun. 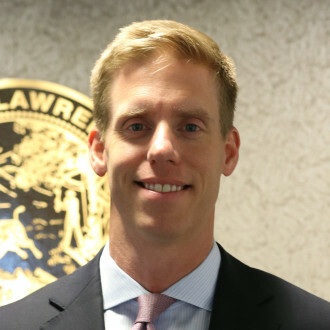 David Johnson serves as Corporation Counsel for the City of Lawrence, Indiana.